Siloam Springs’ primary/secondary schools, John Brown University, the University of Arkansas, Northwest Arkansas Community College and area technical schools offer high caliber, lifelong educational opportunities to residents of Northwest Arkansas. State-of-the-art facilities and access to the latest technology ensures that graduates meet the expectations of the cutting-edge businesses and industries choosing Siloam Springs, Arkansas. Siloam Springs School District is one of Arkansas’ finest school districts and is comprised of approximately 3,630 students in five schools including pre-kindergarten and kindergarten, elementary, middle and high schools. U.S. News and World Report has awarded Siloam Springs High School a Silver rating, indicating the school is among the top high schools in the nation. John Brown University is located in Siloam Springs and maintains important relationships with Siloam Springs High School. This Christian liberal arts college has more than 2,700 students from 39 nations and 42 states pursuing undergraduate and graduate degrees in such majors as graphic and web design, family and human services, early childhood education, business administration and nursing. John Brown University has one of the highest graduation rates in the state and 98 percent of graduates report that they have jobs within six months. 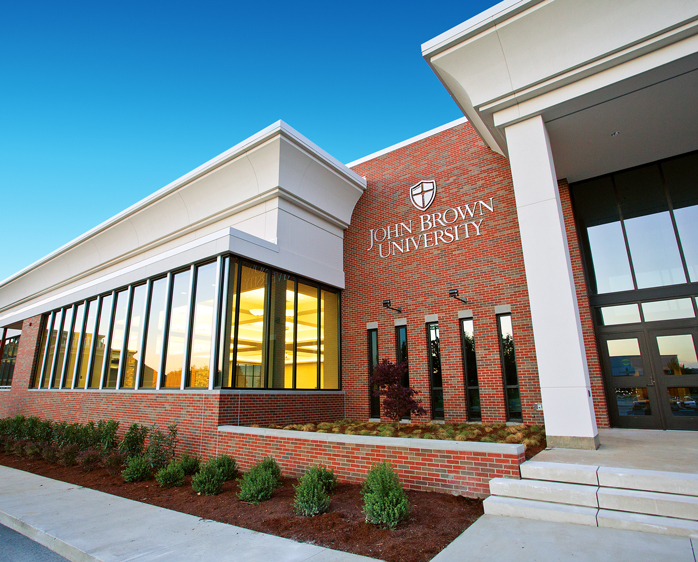 John Brown University presently offers associate’s and bachelor’s degrees in engineering with concentrations in electrical/computer, mechanical, and renewable energy. It is one of the Top 5 engineering schools in Arkansas. JBU also offers a traditional Bachelor of Science in Nursing. A new $6 million nursing facility will allow students to train using simulation patient rooms, High Fidelity Simulators, clinical teaching space, exam rooms and lab space. The University of Arkansas, the state's flagship university, is 45 minutes from Siloam Springs, in Fayetteville. 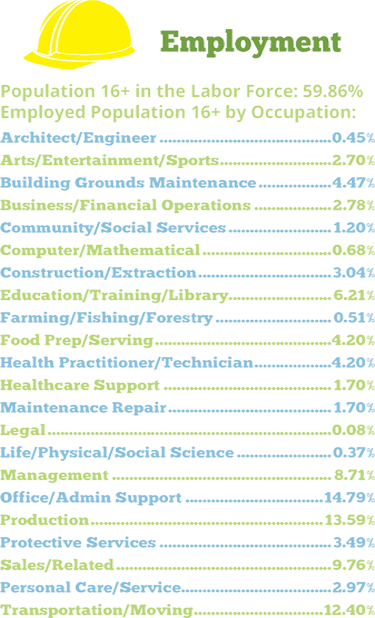 Upwards of 26,300 students take classes in more than 200 academic programs, both undergraduate and graduate. 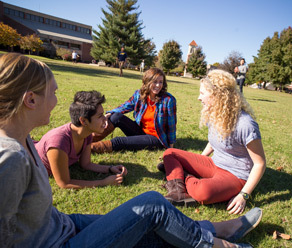 The University of Arkansas is the nation’s 7th fastest growing public research university and consistently recognized as one of the best college values in the U.S.
Northwest Arkansas Community College is only 40 minutes from Siloam Springs and serves more than 8,100 students, including more than 1,000 high school students who are dual enrolled. 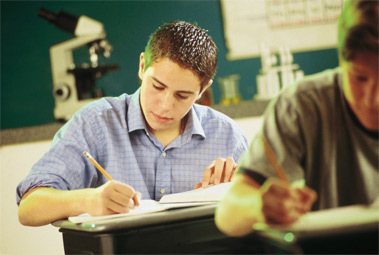 The college offers transfer degrees in global studies, business, agriculture, food and life sciences and liberal arts, and offers career and technical degrees in such disciplines as business, culinary arts, computer information systems, criminal justice, electronics technology, and environmental science, among others, and also offers customized workforce development programs to local businesses. Northwest Technical Institute is the Arkansas Vo-Tech school serving the training / retraining needs of more than 1,000 students who wish to enter a recognized occupation or improve their occupational skills and knowledge to achieve stability or advancement in the workplace. The school, only 30 minutes from Siloam Springs, offers diploma programs in such concentrations as allied health professions, business, information systems, ammonia refrigeration maintenance, electronics, industrial maintenance, machine tool technology, welding and automotive service and repair, as well as customized, short- or long-term industry training. Northeast Technology Center, just 20 minutes from Siloam Springs, trains more than 1,200 students in its full-time, daytime programs in concentrations such as accounting, business, multimedia and graphics, construction trades, welding and metal fabrication, among others, and an additional 20,000 students through its Business & Industry Services, along with short-term night and weekend classes. The Siloam Springs School District – committed to ensuring the success of every student – recently converted Siloam Springs High School to a charter school to expand its vocational course offerings through the Career Academy of Siloam Springs (CASS). The CASS equips students in grades 9-12 with the skills necessary to secure entry-level industrial technology positions in careers such as hydraulics, pneumatics, welding, industrial electronics and HVAC maintenance and operation. Industry partners train high school students in their junior and senior years for jobs in Siloam and the nearby area on the actual machinery they will be working on. These industry leaders are training their future workforce. Click here for detailed program information, including completion statistics and certifications earned. 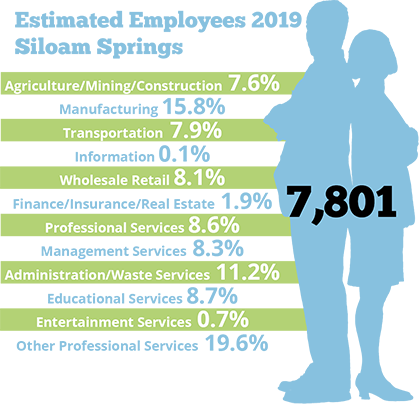 Siloam Springs’ nearly 7,000 employed residents work in the following employment sectors. 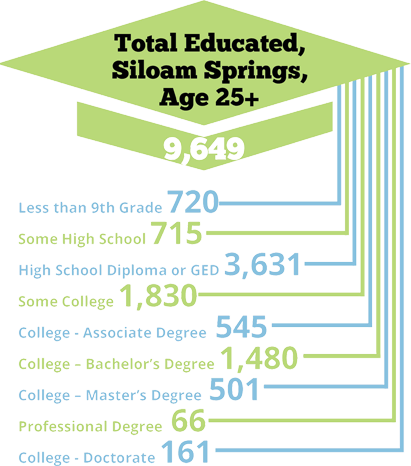 Business and industry in Siloam Springs have access to a skilled workforce in Northwest Arkansas of more than 250,000 individuals.